Keeping your home attractive and in good health is one of your biggest priorities as a homeowner. 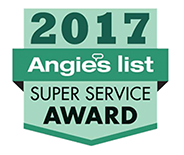 While many homeowners consider gutter cleaning a regular chore and exterior washing a normal part of home maintenance, gutter brightening services are often overlooked. However, they shouldn't be: your gutters need to be washed in the same way that any exterior feature of your home does in order to keep them—and the rest of your home—in great shape. At Softwash Ranger, our Cedar Grove soft washing experts provide high quality gutter brightening services. Our professionals will be able to keep your gutters in excellent condition so that they're able to provide your home with all of the protection that it needs, and so that your home will be as clean and attractive as possible. We'll provide you with the highest quality workmanship possible, and we'll guarantee your complete satisfaction with all of our work. Give us a call today to begin your gutter brightening services, and we'll be looking forward to assisting you. Exterior cleaning is often done with pressure-washers, but for many parts of your property, highly pressurized water can end up doing more harm than good. Your gutters are relatively fragile parts of your Cedar Grove home's exterior, so pressure washing them will most likely cause serious damage. Our professionals use soft washing techniques to thoroughly clean your gutters without causing any damage to them. Our soft washing services will be able to remove any amount of dirt and grime, mold and mildew, or rust on your gutters. This won't just make your gutters and your home more attractive, but it will also prevent leaks and keep your gutters healthy. Your gutters are a critical part of your home and it's protection from weather and the elements, but they also factor strongly into your Cedar Grove home's curb appeal. Our professionals can help you keep your gutters looking their best at all times, which will make your entire home look better. This increases your curb appeal and your home's resale value. 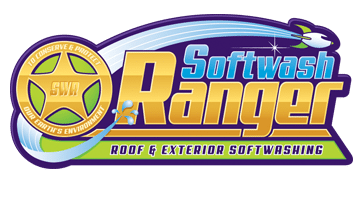 The professional soft washing experts at Softwash Ranger have years of experience working with all types of exterior features of homes. We'll be able to formulate a special soft washing mixture to achieve the most thorough results possible for your gutters.